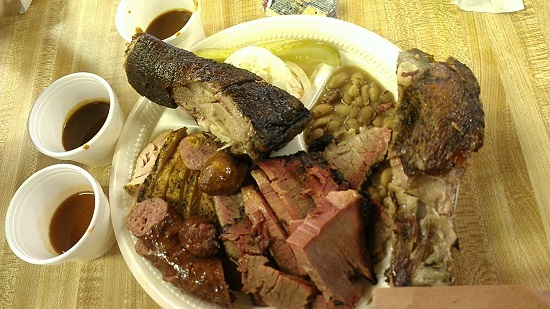 In this last installment of my December 2012 Texas barbecue crawl weekend, we ate at seven places before running out of time to catch our Southwest flight home. The seven were Blacks, Kruez, Southside, Meyers, Stiles, Rudy’s, and Country Line. As you can see from the recap of my overall ranking score sheet, Stiles shone as the #3 place overall. 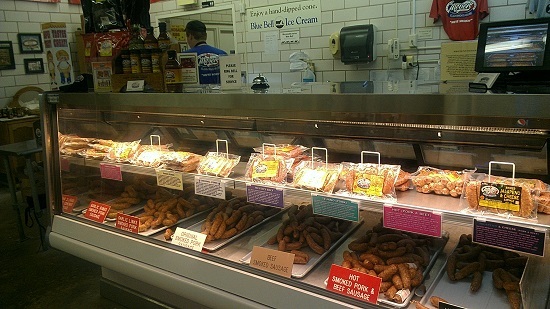 Southside had the best sausage among the 15 places visited. 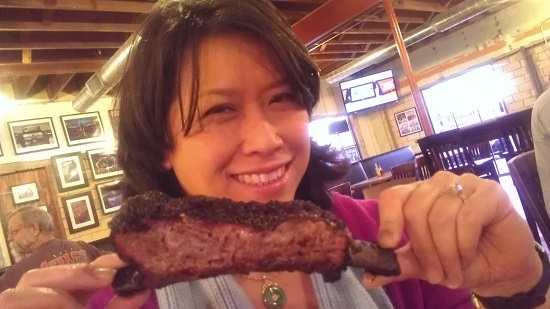 My fiance Donna of Butcher’s Daughter BBQ did a very nice write-up of the remaining seven and I have her permission to republish her article for your enjoyment. It was 5:10PM and we were on our 5th restaurant for the day. 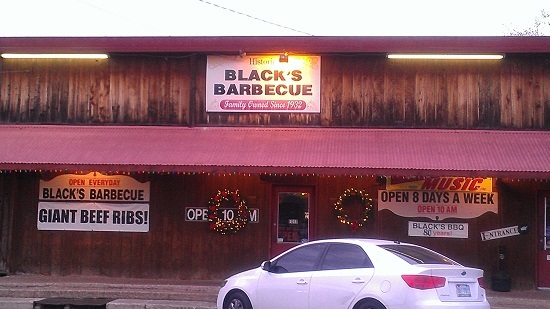 Black’s Barbecue claims to be the oldest BBQ restaurant in Texas. 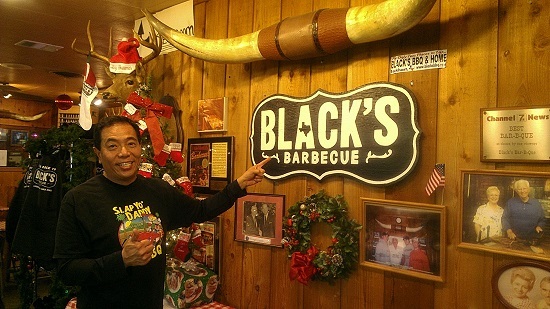 Black’s was established in 1932 and has been running continuously ever since. We parked in the lot across the street and noticed a sign for Terry Black, CPA. Lockhart was definitely a small town. 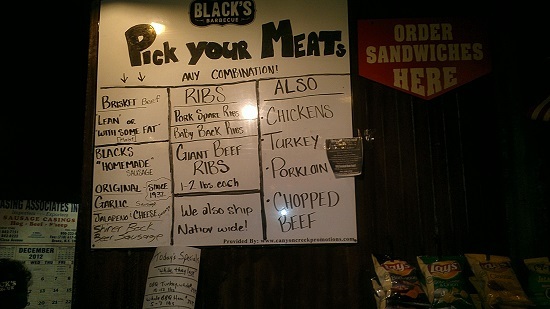 Black’s is housed in an old building with wooden side panels that are washed with time. The red awning shelters the heat in the summer and is almost unnoticed now. 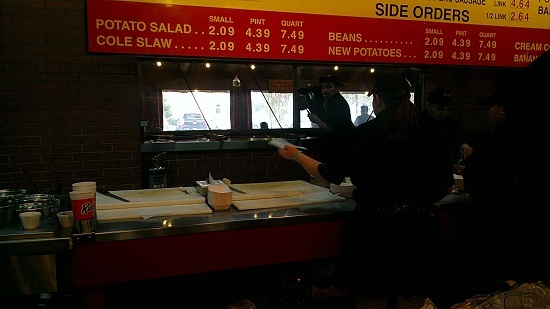 When we walked in, we were immediately greeted by a happy staff member who passed us a plate and asked us to choose our sides. He helped us figure out what to order and was patient with our lack of familiarity. We ordered the meat trinity and added a beef rib for good measure. 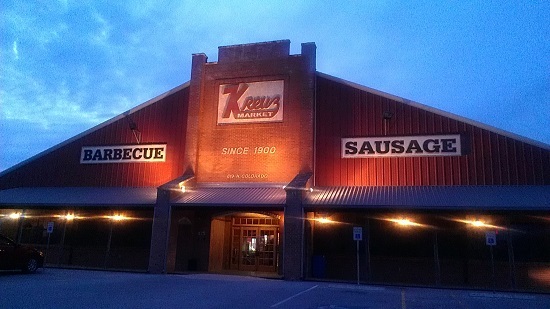 From here, it was only a few blocks drive to get to Kreuz, the largest of the three restaurants in Lockhart. 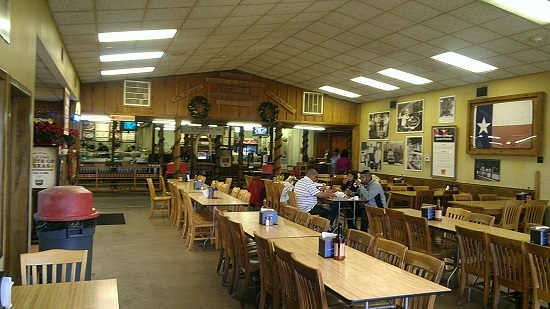 Kreuz is the original name for the location of what is now known as Smitty’s Market. Edgar A. 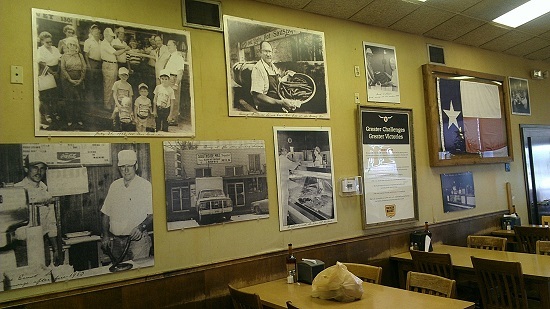 “Smitty” Schmidt purchased Kreuz Market in 1948 from the Kreuz family. 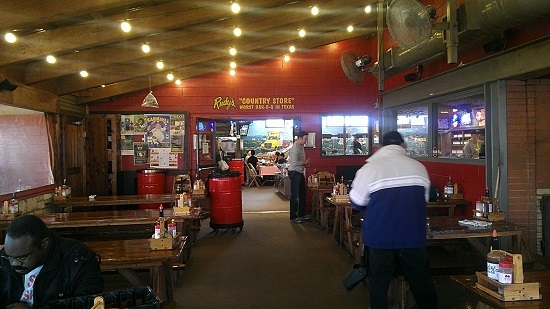 When he died in 1999, the business was divided between his daughter, Nina, who kept the original Kreuz building and re-named it Smitty’s Market, after her father, and Edgar’s son, Rick. 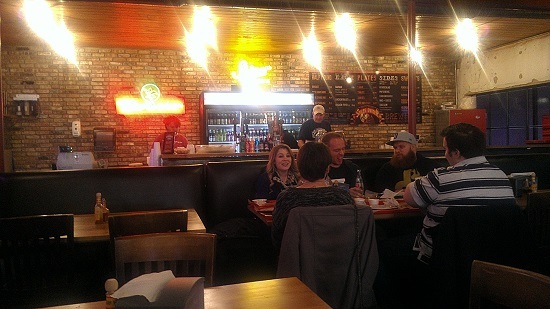 Rick re-opened Kreuz in a new building a few blocks away. Kreuz is huge. 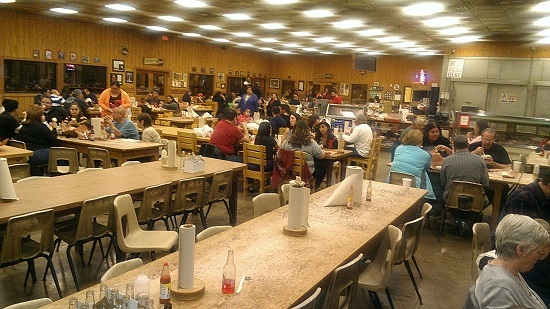 There were two very large dining rooms and one main room to order your BBQ. The pits in Lockhart are all the same design as Smitty’s. 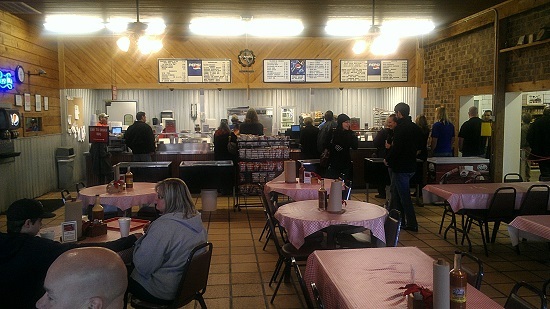 At Kreuz, everything was spread out and multiplied. 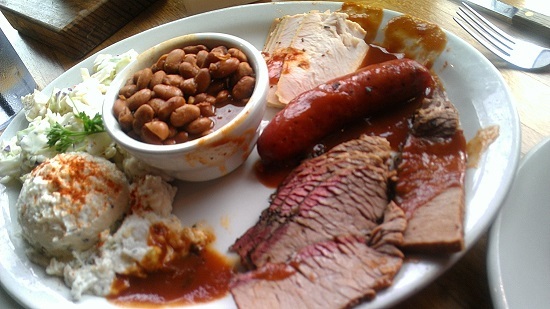 After a long maze like walk to the counter, we ordered brisket, sausage and beef clod. They ran out of ribs. It was 6PM and too late in the day to get everything. 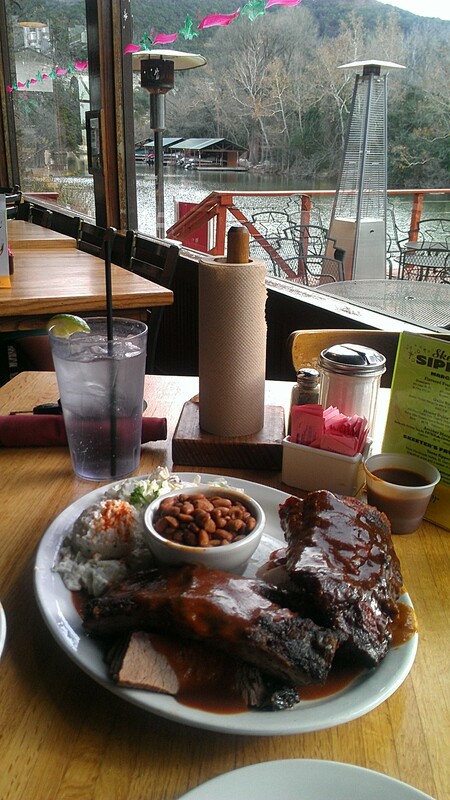 As we sat down in the bright dining room, we bit into a thickly cut brisket that was moist. 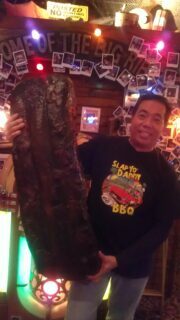 The clod was similar to Smitty’s’ clod, which was also very tender, flavorful and had a nice bark. 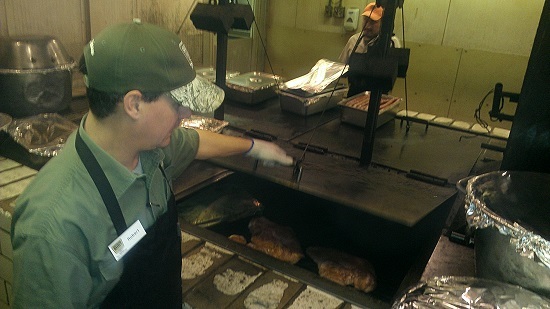 The only difference I could detect was that the Kreuz beef clod looked darker. They were very comparable. 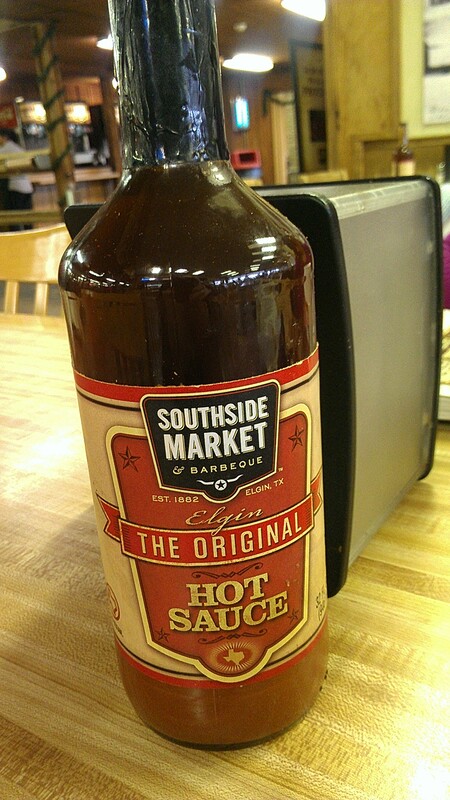 We reached Southside Market by 11AM. This place was as much of a market as it was a restaurant. 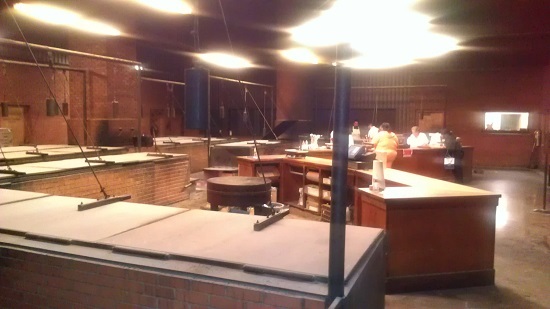 Half of the restaurant was retail, selling items like fresh chicken, prepared sausages, sauces, ribs and BBQ paraphernalia. We walked past the Blue Bell ice cream counter and fancied working at the extensive meat counter. 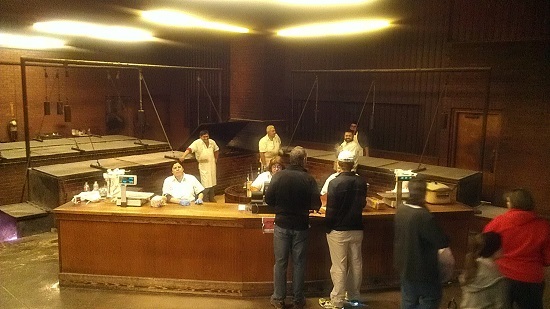 There was no line this early in the morning, so we snaked through the barriers and ordered our 7 meats from two women who seemed a little tired. We took our tray to a table and gathered napkins, BBQ sauce and drinks from various sub-stations in the middle of the restaurant. We noticed a computer in the middle of the room. Should you want to have sausages delivered directly to your home, Southside made it easy for you to do. It reminded me of the quick self check-in counters you see at airports but instead of sending yourself from one place to another, you were sending sausages home. I took a bite from both of the sausages and shook my head in agreement. That was the best beef sausage I had ever eaten! I don’t generally like beef sausage but now I do. The jalapeno cheese was also very good. And though the mutton rib wasn’t pretty, it tasted fantastic. I had cooked lamb breast several times earlier in the year for a contest in Oakland. If you undercooked lamb breast, the fat won’t render giving you a bad mouth feel. And in order to bring out the lamb flavor, it had to be heavily seasoned. These were well rendered and well seasoned. I didn’t bother asking if Harry cared for the last piece of lamb and finished it up before he noticed. The manager wearing a name tag that said Robert, noticed us eating/writing and said hello. He looked at our plates and went back and brought us a slice of pork steak, thinking it improper to eat at Southside and not have this cut. 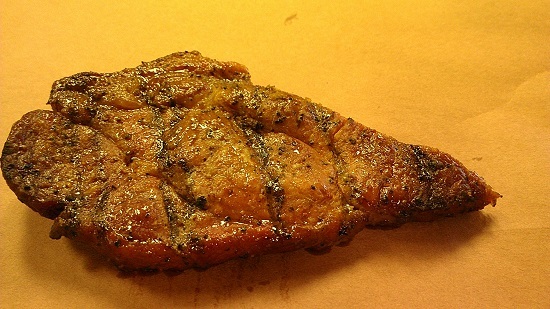 Pork steak, as I learned, is a sliced bone-in pork shoulder that is smoked and grilled. 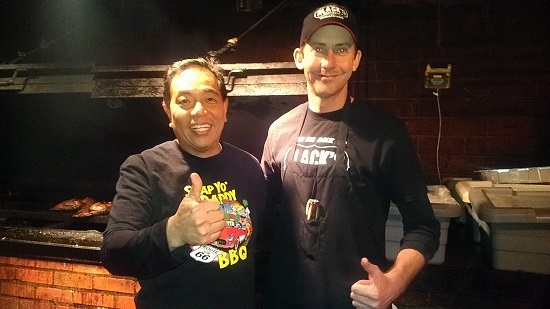 We thanked him and enjoyed this flavorful cut. After our meal, Robert gave us a tour of the Southside restaurant which was by far the largest facility we toured. They even had a local USDA inspector onsite. 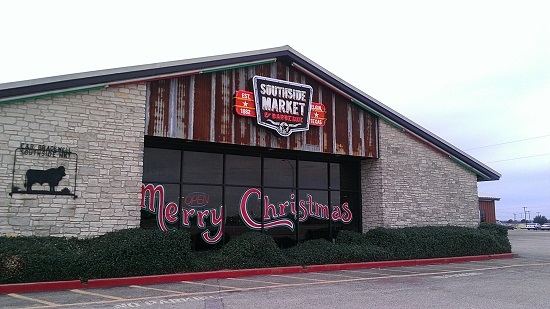 Southside distributes its sausages at Costco and other warehouse stores during the spring/summer/fall months. 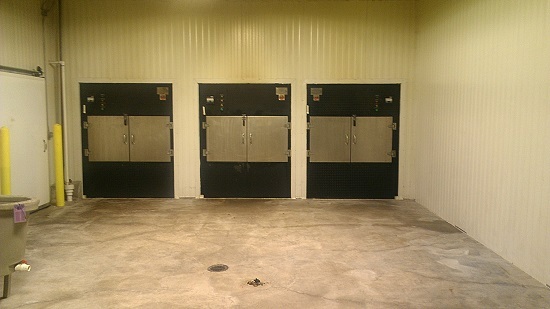 Robert showed us their 5 Oyler smokers in the back and several walk-in refrigerators. Everything was spotless and orderly. 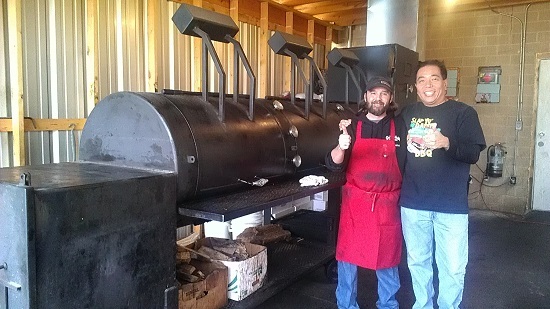 Though the Oylers have the option of running on gas, they only use local post oak as their source of heat and flavor, which gives their BBQ a beautiful robust smoky flavor. 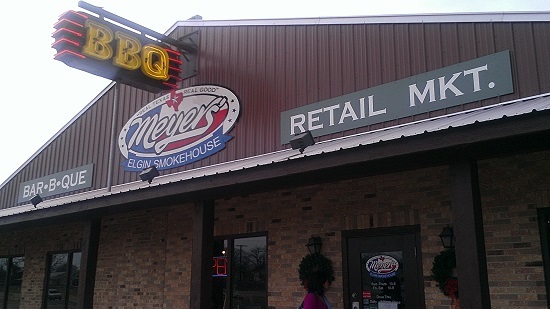 We walked in and passed by a retail counter of cold sausage that Meyer’s is famous for producing. 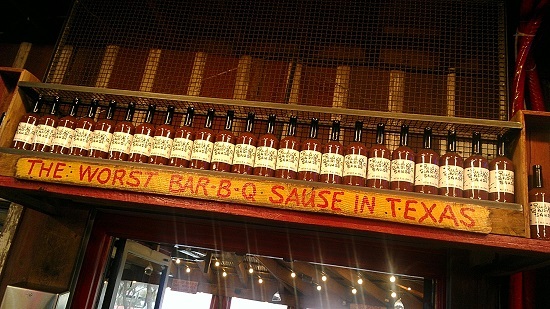 Next to the sausage were racks of BBQ spices, jams, preserves and yet another Blue Bell ice cream counter. Though it was noon, we resisted the creamy dessert to serve a higher purpose. 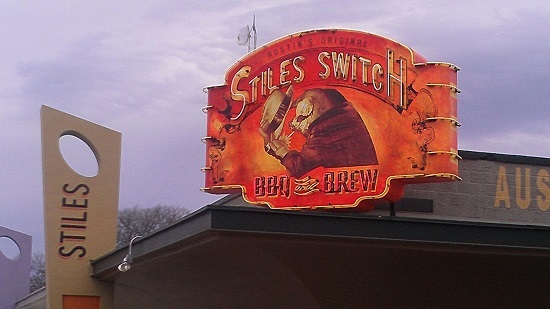 We jumped into the rental and continue with our journey to the next restaurant, Stiles Switch BBQ and Brew. 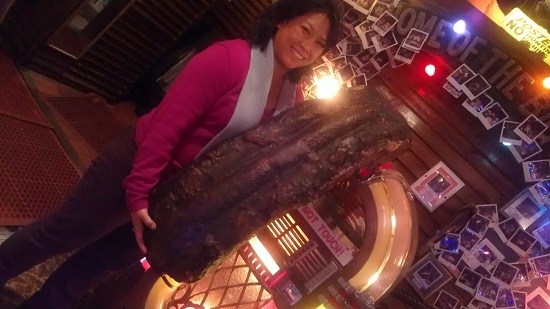 I honestly didn’t know anything much about Stiles before going, other than it was well regarded by some yelpers. It wasn’t listed on the Austin crawl at Amazingribs.com from which I was largely operating on based on a suggestion from Harry. I learned later that Stiles was only a year old. Lance noticed Harry ’s bright t-shirt with a pig and blond in the red convertible cruising down route 66 behind a Hollywood sign and greeted him by first name, as is often the case with complete strangers when he wears that shirt. 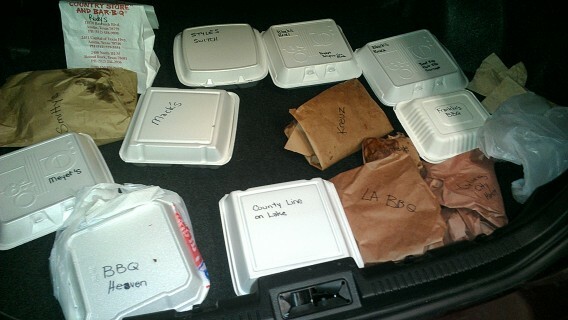 We ordered the three meat combo with corn casserole and potato salad. He mentioned that he had beef ribs so we tacked on an extra heavy duty rib. Recognizing who he was dealing with, Lance sliced up the best he had in the food warmer behind him. 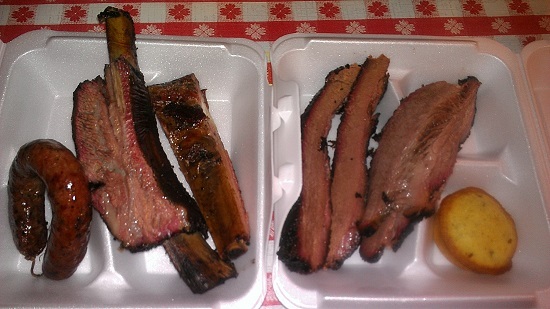 We asked for both the fatty and lean brisket. Another man to our left served us heaping portions of the sides. Lance tried to tell him who we were but it was thankfully lost on him. The meat looked beautiful. Lance was careful with the food. I appreciated his consideration. I took a bite into the brisket and exhaled a sigh of relief. It was moist and cooked perfectly. 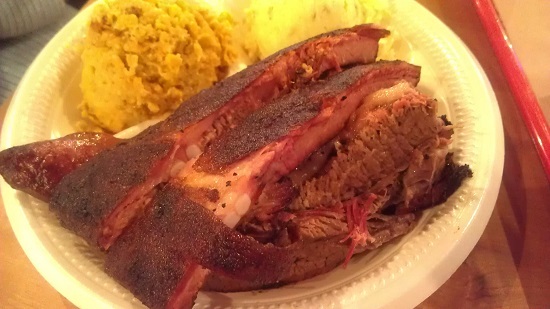 The pork rib had a dry rub and gleamed in the absence of sauce. I wrote in my notebook that it was perfectly finished. The pork sausage had the Elgin snap I now desire. 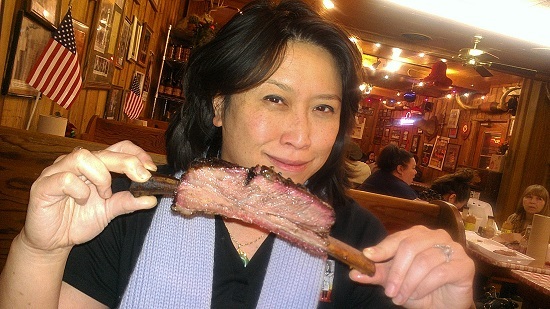 And of course, the beef rib, which I could tell Lance was proud of, was the best we had in Texas. I looked up from my plate and exclaimed that I would be completely satisfied if I could cook this well at a restaurant of my own. Harry agreed. There were two more restaurants on our list before we called it quits. 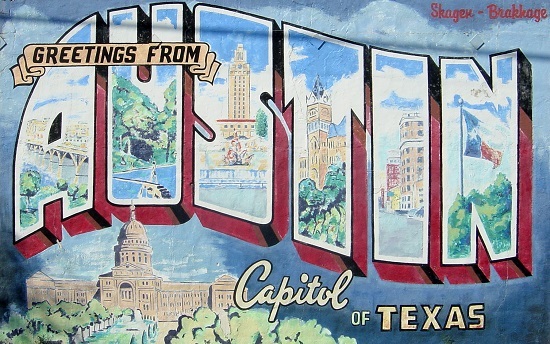 Both were popular chains in Austin: Rudy’s Country Store and County Line on the Lake. 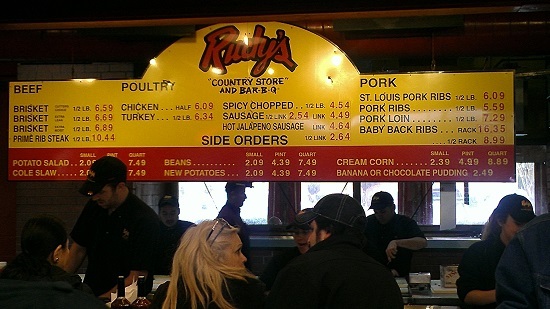 We drove 20 minutes to a Rudy’s located on Research Blvd in Austin. 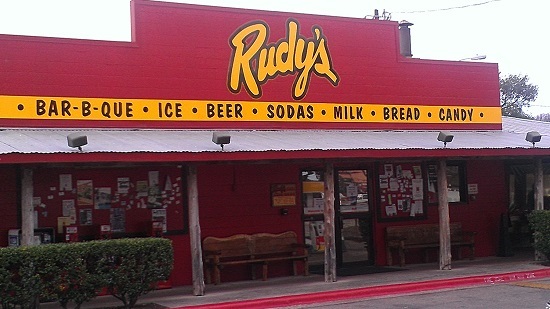 There was a big Rudy’s sign which could be seen from highway 360. A big red barn housed the restaurant. Rudy’s doesn’t take itself too seriously. 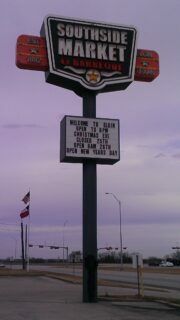 Their motto is that they serve the worst BBQ in Texas which is written in big letters on the outside of the building. There’s a gasoline station in the front, in case you needed some gas. Inside are a small market and then the restaurant. 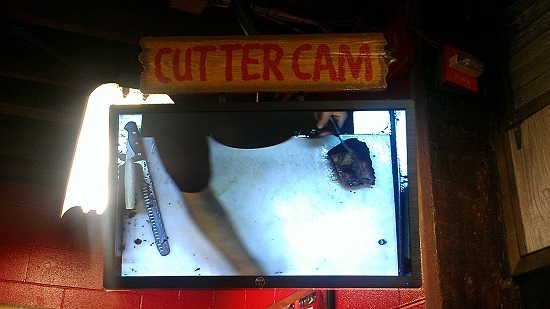 As you enter the line, there a “cutting cam” monitor that shows meat being sliced by the staff. 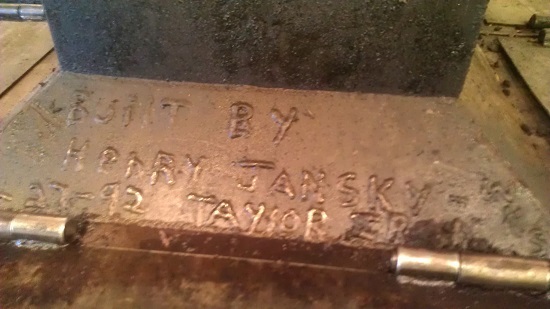 We noticed that there is also a camera on the patrons watching the cutting cam. If no one is in line, the cutting stops. You can grab your sides from a refrigerator conveniently located along the switchback queue. There are five registers to place your order, all run by young people. They’ll ask you if you this is your first time and if you say yes, they’ll shout out in unison “NEEEWBIE!” It felt a little like being at TGIF and being forced to sing happy birthday even if you weren’t happy. 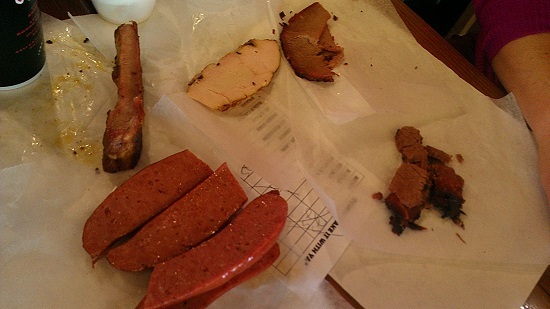 As Rudy’s virgins, we were given a sample of their meats on white wax paper. From that, we made our selection. The gal at our register seemed a little disappointed that we didn’t order much. It was 2:30PM and this was our 5th restaurant for the day. I was definitely slowing down. 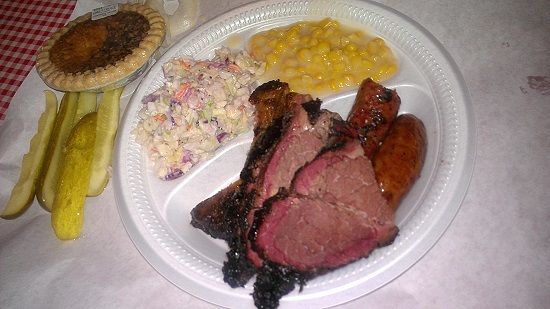 The meat was served on white paper, inside a plastic tray with high walls, sort of like the trays we use at contests in the judging area, only smaller. 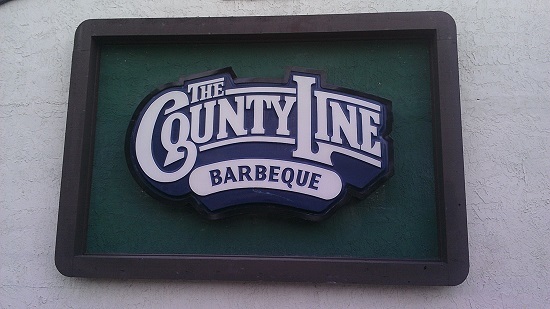 Playing the tourist at The County Line!